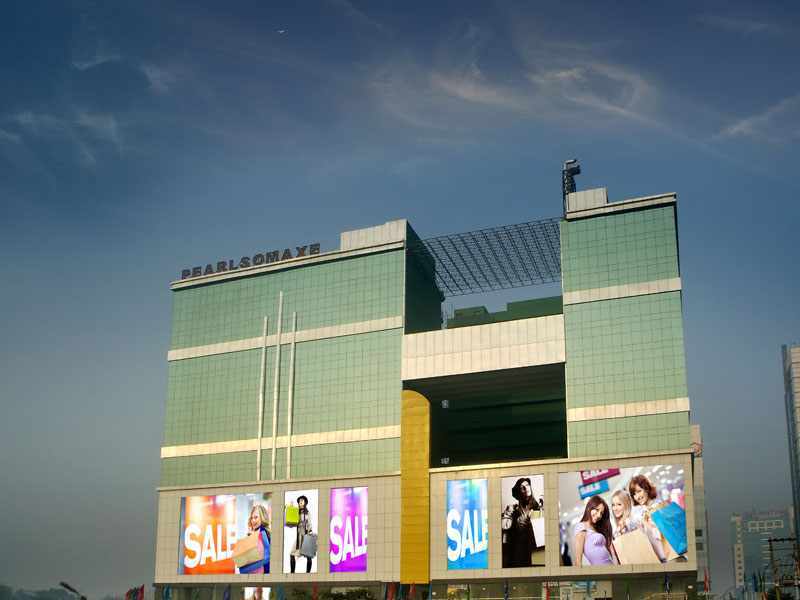 Malls in Delhi - NCR - Pearls Omaxe is nothing like you have ever seen before. Strategically located on the Ring Road in Netaji Subhash Place, it will redefine the entire idea of commercial space for a vast upper middle class population in the nearby areas. With 4 floors of shopping and 8 floors of ultra-modern office space, Pearls Omaxe is truly a study in the exploration of space. It's vast, elegant and scientifically planned for greater space utilisation. Innovators do not follow the crowd. They make their presence felt in ways never thought ever before. They challenge the norms and set out to do the undoable. Presenting Pearls Omaxe. From its unique shape to its engrossing attention in detail, it has been designed to become a destination for the discerning. A break from the past. A vision of the future. An assertion of an innovative idea. Because space is what we make. Understanding the needs of today's - and tomorrow's - businesses, Pearls Omaxe has been designed to house the best names in the corporate world. With the latest infrastructure and amenities that others can only hope for, it offers an arena of world class productivity at the perfect location.